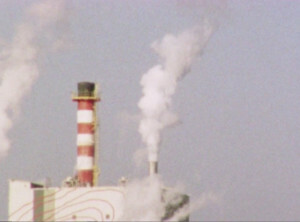 Cambridge Super 8 Film Festival – Welcome to the Cambridge International Super 8 Film Festival website! 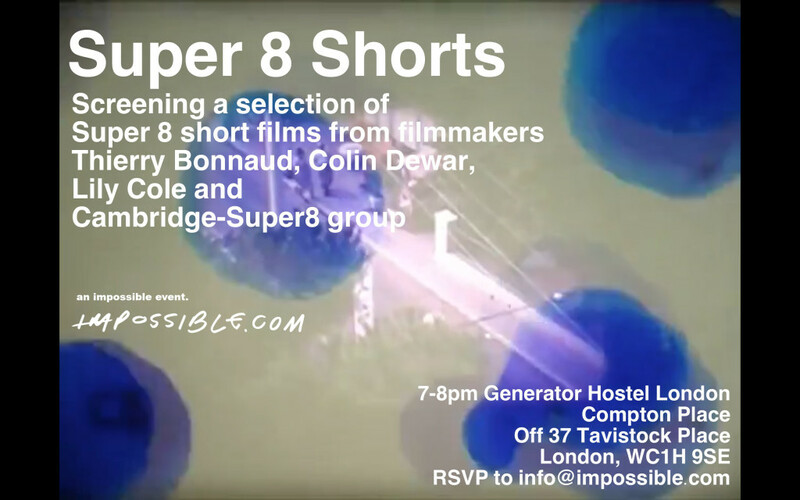 It’s October and Super 8 is back in season with Home Movie Day and Global Super 8 Day events taking place across the globe. 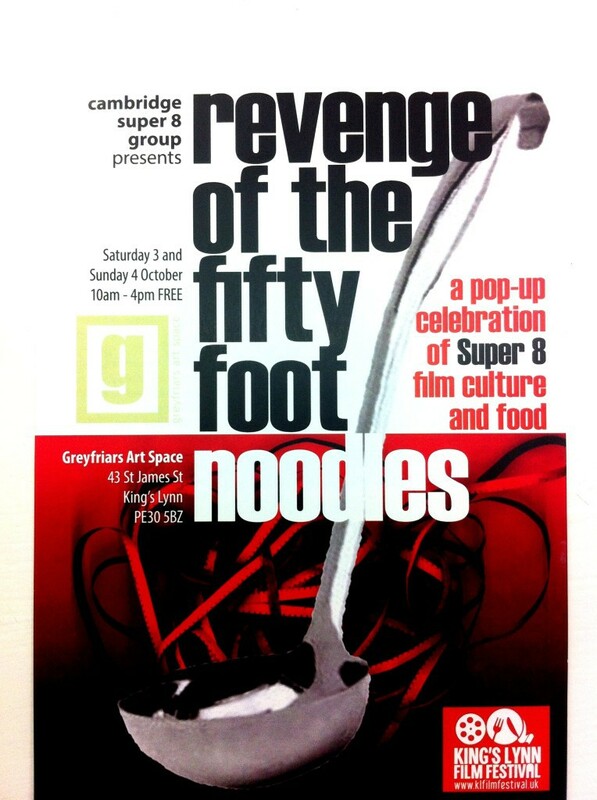 To celebrate the 50th Anniversary of the world’s most famous small gauge film, Cambridge Super Cambridge Super 8 Group cordially invite you to Attack of the Fifty Foot Noodles! 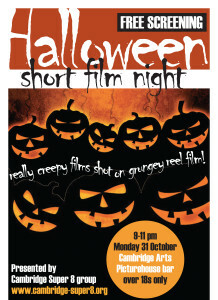 A bite-sized weekend of sizzling Super 8 delights and 8mm movie morsels in collaboration with Kings Lynn Film Festival. Set in the historic coastal town of Kings Lynn in Norfolk, the Kings Lynn Film Festival is the newest addition to the region’s film calendar. The gastronomically themed inaugural event will feature screenings, workshops and pop-up events in venues across the market town. The festival kicks off at Kings Lynn Town Hall on Friday 2nd October with Colour Comes to the Movies – a special event recreating the cinematograph of 100 years ago. 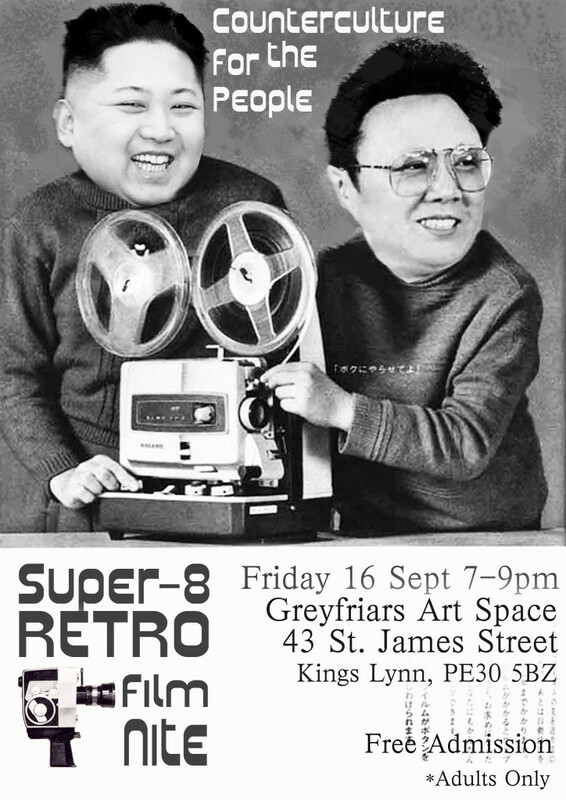 To coincide with this unique show, Cambridge Super 8 Group in collaboration with Loose Spikes will be driving around town in a souped-up cine car culminating in a pop-up pavement cinema. 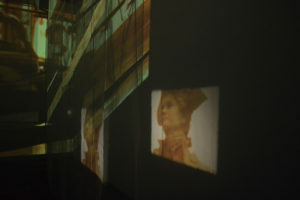 Cambridge Super 8 Group will be transforming Greyfriars Art Space into a pop-up gallery exhibition and micro-cinema featuring a showreel (Programme here) of food-related Super 8 films by international filmmakers, hand-picked from the Cambridge International Super 8mm Film Festival archive. Our cine chef’s special consists of a roulade of reels all hand cooked by the culinary Queen of Super 8 herself, Dagie Brundert. For dessert gallery visitors will be able to sample special Super 8 biscuits, hand-baked by award-winning artist and Michelin-starred movie-baker, Colin Dewar. Cambridge Super 8’s Tony Clarke will curate a pop-up exhibition of 8mm paraphernalia complete with a wall-mounted graphic panel display tracing the history of Super 8. In the lead-up to Home Movie Day on October 17th 2015, Cambridge Super 8 Group is calling for local people to bring in their home movies on Standard 8mm, Super 8mm and 16mm for advice on screening, telecine (digital conversion) and film preservation. So come along! It will be as instant as freeze dried coffee… and as unpredictable as a Super 8 soufflé! And don’t forget! Look out for the kino art car on Friday 2nd October – somewhere in Kings Lynn – around 7pm! 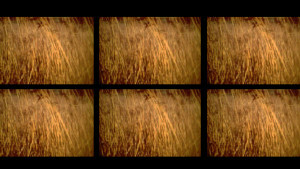 Direct scratch and animation on Super 8. Collage with strips of found film cut up and edited with a tape splicer.